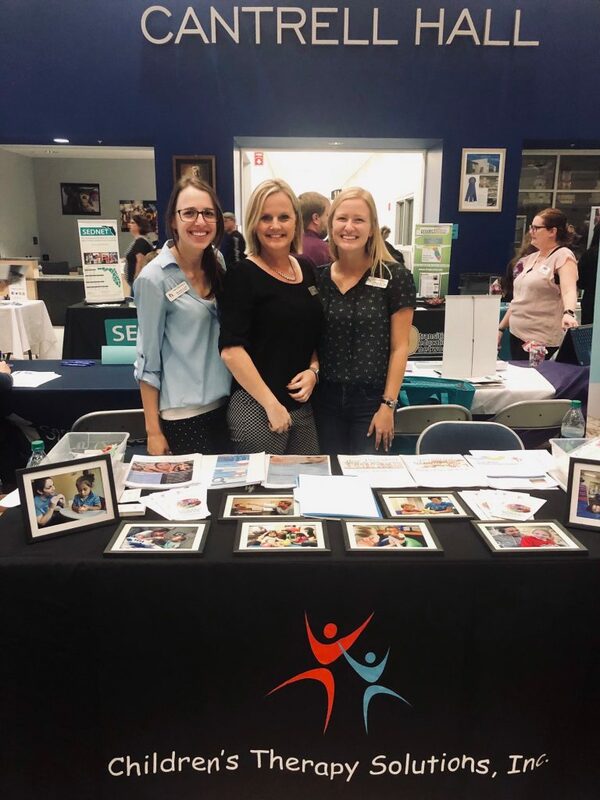 Children’s Therapy Solutions attended the Agency Fair at Manatee Technical Institute Main Campus on February 28, 2019. All families of students with disabilities in Manatee County Schools were invited to learn about agencies and groups in the community who can be of assistance to their child. There were workshops and information about local agencies, post-secondary options, developmental motor skills, inclusion, and many more topics. Children’s Therapy Solutions staff informed families in the community about the multidisciplinary therapy services we offer and therapists will were available for consult, screenings, and Q&As. There were workshops and information about local ESE resources held throughout the evening.